Kokanee season is coming to an end but there is still a couple more weeks to get your fix. At this point in the season the fish have grown to a fat and healthy size. Some fish are starting to turn and show signs that they will be spawning in the near future. The fish are very aggressive at this stage of their life cycle. A great way to catch them is to increase the size of your presentation. A larger profile with a lot of side-to-side action will produce many strikes. A trick that anglers can do to increase their daily catch is to combine two of the most popular kokanee lures, an Apex and a hoochie. 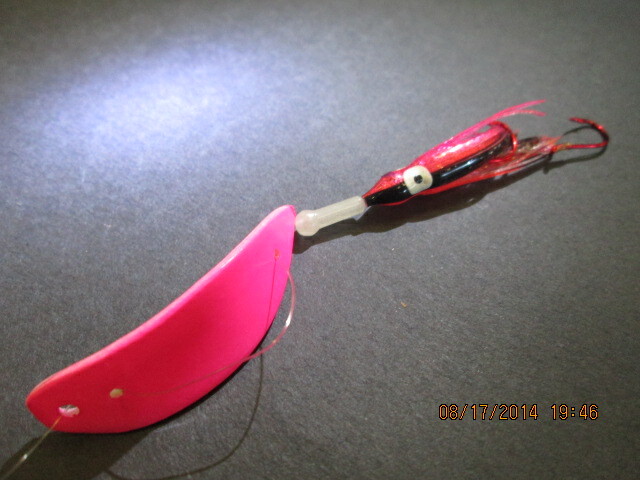 This simple modification creates a presentation that is bulky, has good action and is sure to aggravate the more aggressive fish. 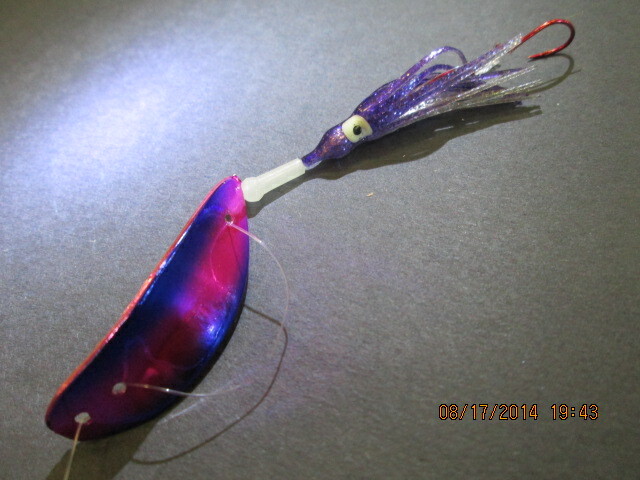 Take the existing double hooks out of the Apex and replace them with your favorite color hoochie. With large profile in mind, now is a good time to use the largest sling blades and dodgers. 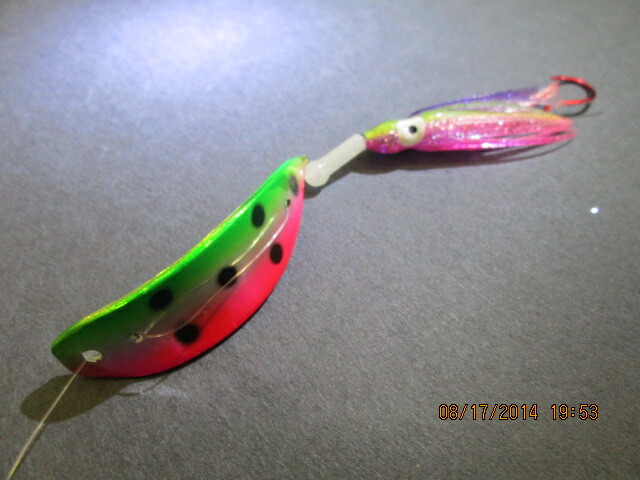 Add a slight bend to your sling blade and trail it with an Apex/hoochie combo to catch late summer kokanee.